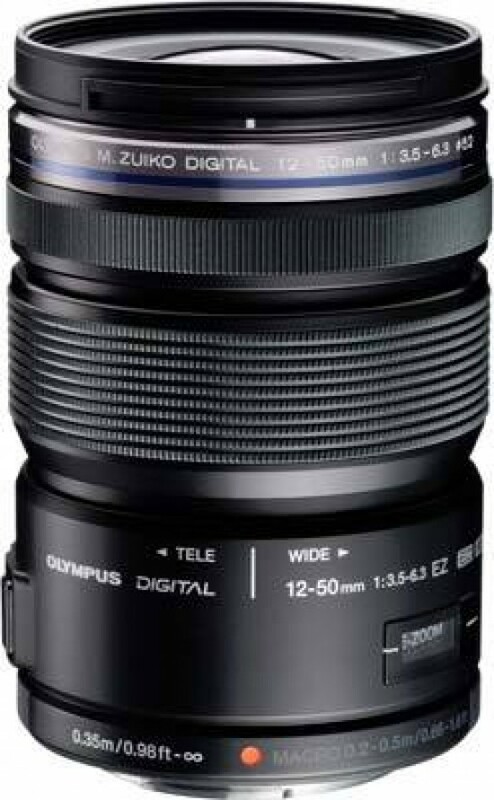 Based on its specifications alone, it would be tempting to dub the Olympus M.Zuiko Digital ED 12-50mm f/3.5-6.3 EZ a “jack of all trades, master of none”, but this would be unfair. Firstly, this is an excellent macro lens - it would be hard to name another standard zoom, in any system, whose close-up performance comes close to that of the Olympus 12-50mm. Secondly, it's a splendid video lens too, despite its slow and variable maximum aperture. The new electromagnetic zoom mechanism really provides for smooth and even zooming, with the zoom ring in the “E-ZOOM” position. And even though you lose some of its angle of view when shooting movies in widescreen 16:9 format, it still provides plenty of wide angle for dramatic video footage. Thirdly, it's a great “walk-around” lens, arguably better - and definitely more versatile - than most of the other Micro Four Thirds kit zooms. On recent camera bodies like the E-P3, it also offers some of the fastest AF performance we've seen from any compact system camera kit to date. Of course, it's not a perfect lens. While centre sharpness is pretty high throughout most of its focal length range (including 12mm); contrast tends to be on the low side, especially wide open. The corners are a bit soft at the 12mm setting, though they are a better match for the image centre at other focal lengths. Some chromatic aberrations are visible at 12mm. On the plus side, vignetting is not a real issue and distortion is very well auto-corrected through software algorithms. Actual distortion is on the high side at the 12mm end but you'll need to shoot raw and use a program like Raw Therapee to see it. Finally, the lack of in-lens image stabilisation makes the lens somewhat impractical for Panasonic camera owners. All things considered, the M.Zuiko Digital ED 12-50mm f/3.5-6.3 EZ is a great lens for those Olympus Micro Four Thirds users who want an all-in-one solution to their everyday photography, videography and macro needs. Photographers who require maximum sharpness and resolution will of course be better served by one - or more - of the excellent, fast, sharp Micro Four Thirds primes; but the Olympus 12-50mm f3.5-6.3 is hard to beat on versatility and price-performance ratio. As to those who want a weather sealed lens for their OM-D E-M5 camera, well, the 12-50mm f/3.5-6.3 EZ is currently the only game in town, save for a Four Thirds lens + MMF-3 adapter combination.